Kirstin has never been out of her den before, but now one of her pack is seriously injured—he may even be dying. Desperate to help, she races straight to Middle March, the borderland between Scotland and England, and falls right into a dangerous trap. As the new laird of his clan, Donal MacFalon has made it clear that he, unlike his brother before him, will honor the wolf pact, an agreement their father made with England’s King Henry VII to protect Scotland’s wolf shifters, the wulvers, who most believe to be only the stuff of legend. Wulvers, though, are very real. Kirstin knows. She’s one of them. When Donal MacFalon turns those steel blue-grey eyes her way, she realizes she’s facing something far more dangerous in this man than any trap. This man, already promised to another, has a power over her no man or wulver has ever had before. When he opens his castle and his heart to her, she finds herself willing to risk not only her own heart, but everything she’s ever known, just to be with him. Kirstin will find herself caught-—between the man she loves and his intended bride, between her pack and a human world frightened of her kind, between nations whose hatred runs deep. Kirstin will be forced to make choices no woman, or wulver, should ever have to make. All for one man, whose love goes beyond borders, nations, or legends, whose heart beats only for her. Compromising Positions is the second book in the Highland Wolf Pact trilogy, this story takes off around the ending of book one “Highland Wolf Pact” where the Alpha’s brother is injured. Kirsten is one of the few pack healers among the wolf pack, and so she heads down into unknown territory to offer her services since she knows they are desperately needed. But she finds herself caught in a trap while in Wolven form. But then she is shocked when a Highlander helps her escape….a man she doesn’t trust the newest Laird of MacFalon. 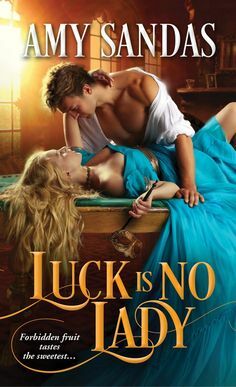 She finds herself trusting this new laird….a man of honor, unlike his brother who was full of deceit and cruelty. 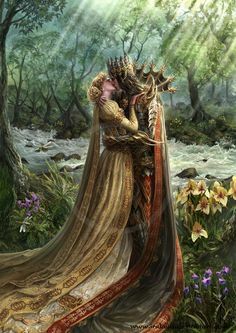 As Kirsten and Donal learn to develop a relationship of desire and affection, and just when they are about to announce their engagement….they learn that the King is demanding a marriage between Donal and a Englishwoman. But there is also a hidden danger to the Wolvers, and it will take them working together along with Donal and the men he trusts the most to defeat the evil that wishes to destroy them all. This was such a wonderful story and although it was a bit different from book one, I enjoyed it in different ways. I did think that this story was way more INTENSE in the plot line than Highland Wolf Pact was. At first there are so many good feels. We see such a strong bond that forms between Donal and Kirsten. I loved seeing them embrace the feelings they have for each other. The conflict comes with Kirsten coming into her time as a wolver (which as a woman and finding her mate in Donal, she has no choice to change between human and wolf form) and that there is an enemy that has lied to them, and seeks to destroy the Wolvers. We see some hints of magic and evil witchcraft that comes into play here. What has also impressed me with this story too and this author was the historical context. The author has done such a great job with the details almost as much as you would find in authors that write historical fiction. I loved the sharing of customs, historical facts and details that make the surroundings come alive. The plot thickens with each chapter and you never know what will happen next or if they will find a way out of the bind they find themselves in including defeating an enemy they don’t see coming and one they aren’t prepared for. I really had a blast with this story that kept me on my toes with thrills and delights and shivers down the spine!! The third book takes place about twenty years after Highland Wolf Pact and Compromising Positions. Our hero of the story is the son of Raife and Sibyl (the main couple in book one), he is talented and a skilled warrior just like his father. But Raife is impatient with life, he wants to be the leader and NOW, he doesn’t understand certain ways that his father is determined to keep a hold on. He knows that he is different, and that he could be the future of their race. He has red eyes and could be the future king to bring together all the lost wolven pacts together. So he leaves his wolf pack to go to a sacred monastery on an island nearby to find the truth and find out what his destiny truly is. There he meets a lovely young woman, who is to be the future priestess. A woman who has was adopted as a young girl by the caretakers (who are also the missing couple from years ago that went missing —our heroine Kirsten in book two’s parents) But there is a hidden destiny and a course that neither Bridget or Griffith will expect or a love they never expected to find. What a truly remarkable end to a wonderful trilogy and I am so heartbroken that this series is OVER. I became so addicted to this world that this author penned for us. So brilliantly written with great detail and heartwarming characters that feel so alive and real amidst these pages. I truly didn’t expect this book to turn out the way that it does and to finally see the witch of the trilogy to come to a great end (truly evil this one is) But I think these two might be my favorite couple in the way that their relationship comes together in the end. I will say that the only downside to this story was the ending….WAY to abrupt and short, I would have liked a nice epilogue. However the story overall was thrilling, exciting, and a truly sensational read that tugs at your heartstrings with some great laughs along the way. Highly recommend for paranormal and historical lovers! !